Cross sector support for growing renewable energy is emerging in Victoria with the state’s peak body for business, the Victorian Employers’ Chamber of Commerce and Industry, throwing its weight behind the Andrews government’s Renewable Energy Roadmap. The backing of business sector group VECCI sends a message to Spring Street that industry wants cross-party support for renewables. VECCI welcomed the release of the government’s Renewable Energy Roadmap which pledges to establish Victorian Renewable Energy Targets for 2020 and 2025. In a statement, VECCI said it has a strong record of working with governments and businesses to encourage the rollout of renewable energy technology. “Increasing investment in the renewable energy sector in regional Victoria was a key priority from VECCI’s recent Victoria Summit 2015 – Regional Victoria,” said Chief Executive Mark Stone. VECCI’s support for the government’s Renewable Energy Roadmap comes as no surprise. After all, growing renewables is good business. 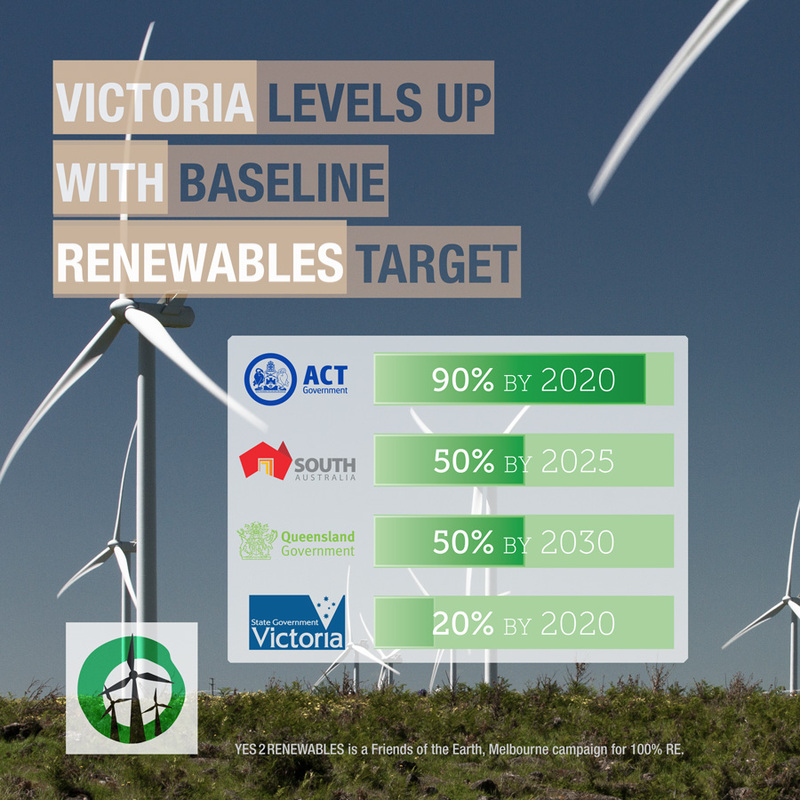 The Andrews government’s commitment to a baseline Victorian Renewable Energy Target of at least 20 per cent by 2020 is welcome news for the state. It will see more wind farms built and solar installed across Victoria; drive investment in farming communities; and create manufacturing jobs in Portland, Glen Waverley, and Lilydale. The business community’s backing of the government’s Renewable Energy Roadmap sends a strong signal to Victorian parliamentarians. It lays the foundation for cross-party support for a Victorian Renewable Energy Target and measures to expand the sector. The Liberal party’s appointment of the state’s first Shadow Renewable Energy Minister David Southwick shows the party is seeking to modernise it’s energy policy platform. 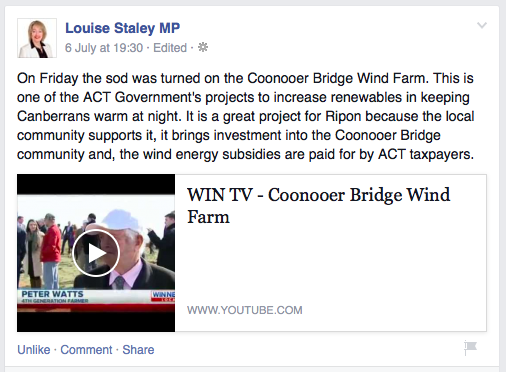 Liberal MP Louise Staley’s endorsement of the Ararat wind farm, which is under construction thanks to the ACT government’s RET scheme, demonstrates the party can support policies that grow renewable energy. 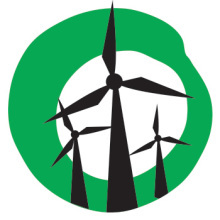 It also shows the Victorian Liberal party is more inline with the community’s views on wind farms and renewable energy than their Federal counterparts. Cross-party support for the forthcoming Renewable Energy Action Plan and Victorian Renewable Energy Target will create certainty and restore investor confidence. It will ensure Victoria is the place to invest in renewable energy projects. The government will finalise state Renewable Energy Targets for 2020 and 2025 later this year. It can look at where other states are heading to ensure we pick the target that’s right for Victoria. The ACT has a renewable energy target of 90 per cent by 2020; South Australia 50 per cent by 2025; and Queensland, 50 percent by 2030. Federally, the Labor opposition has committed to a national goal of 50 per cent by 2030. Send a clear signal to the government, email Premier Daniel Andrews today. Contact the Premier to secure an ambitious Victorian Renewable Energy Target.